As the name suggests, jet blasting is a technology that uses water and jets to help in the removal of unwanted substances that may be blocking your drains. 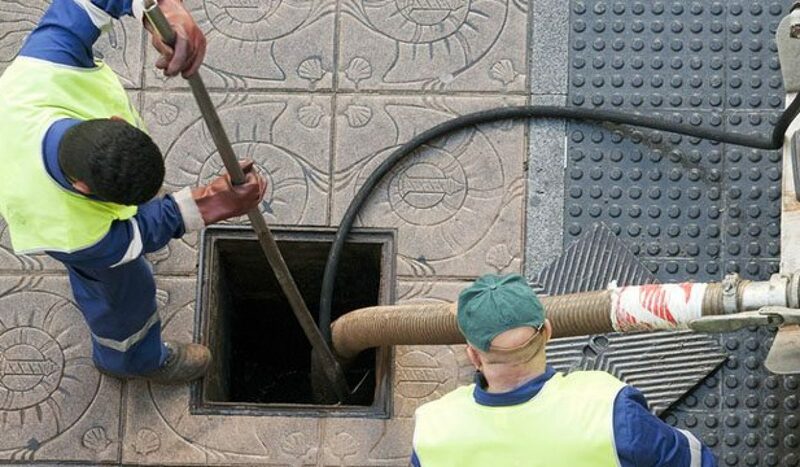 Jet blasting is one of the quickest and most efficient ways for plumbers to clear blocked drains, but what sort of blockages is jet blasting used for and when is it suitable? These are a major concern as they have the potential to cause dangerous flooding within a business, garden, home or street. However, it can be easily fixed with the help of a jet blaster and a trained professional plumber. These use physical processes to trap solid waste such as litter and coarse sediment. When a GPT is blocked or very unclean, it causes further issues for downstream stormwater. Jet blasting is the easiest way to clean down inside these traps safely and quickly. One of the stickiest substances to remove from drains and pipes, cement sludge is difficult to remove. The power of a jet blaster is the most efficient way to flush it from the area. Whilst occurring naturally, these cause serious plumbing issues. A jet blaster will pulverise these blockages quickly and effectively without damaging pipes or the need for hard labour. The jet blasting process involves the scouring of pipes with constant streams of high-pressure water from a specially designed hose at the rate of up to 5000psi. A blaster has a large water tank with a hose attached to it. This hose is capable of withstanding very high pressures of water, specially designed to clean out any accessible openings that have pipes. The process of cleaning starts with blasting jets of water, dislodging all the dirt that causes blockages to fall down the pipe. It can gain access more easily through a vent or toilet pan and is more effective against grease. Further, the high-pressure jet blaster drain cleaner is as effective 50 metres down the line as it is at the inspection opening. When a build-up of grease, silt, leaves, hair or other foreign object is causing a blockage, jet blasting is the answer. In most cases, jet blasting removes the blockage, allowing water and waste to flow smoothly again. If your water isn’t flowing properly, call Plumbing Central Sydney. From Roselands to Bankstown, Revesby to Peakhurst, our team of professional plumbers will have your plumbing issue fixed in no time. Call us on call 04 1001 1999 or contact us online today!